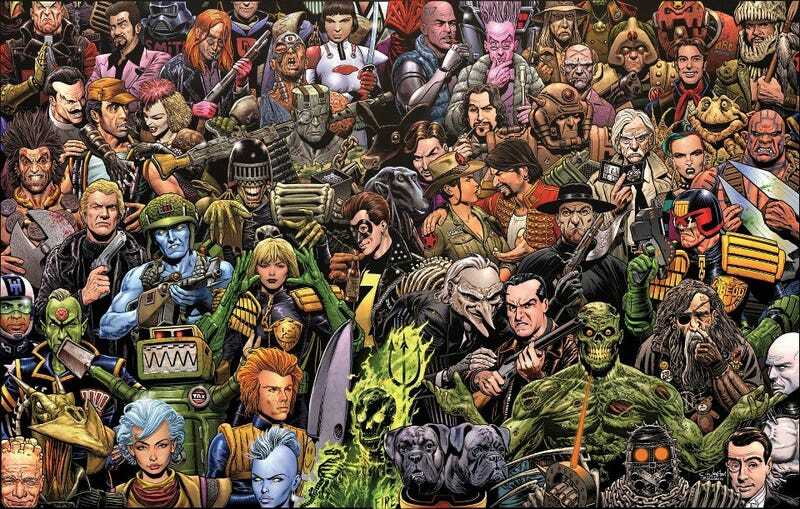 If you are in London during the next two months (ending April 23rd) then the Cartoon Museum is having a bit of a beano celebrating forty years of 2000AD. Judge Dredd, Dan Dare, Slaine et al are all on display. Although IPC’s base of operations was outed as a spaceship in 1977, The Mighty Tharg has shown a touch of rebellion and decamped to Oxford since his old gaff was overshadowed by The Shard. Even so the gallery in Little Russell Street has an exhibit featuring artwork from the weekly comic. Even the mighty Spectator has hailed this comic’s right to be regarded as art, though I imagine some will be more enthusiastic about Rebellion re-releasing the Rogue Trooper game. The exhibition is called Future Shock! and the museum is open every day apart from Monday.